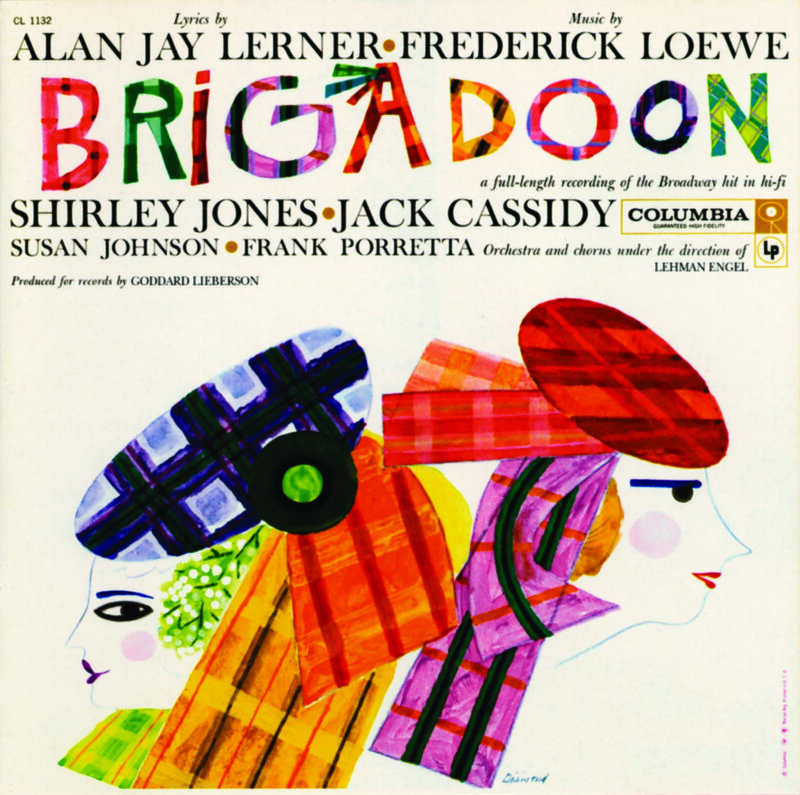 Set in the Scottish Highlands, Brigadoon tells the story of two young American tourists, Tommy Albright and Jeff Douglass, who become lost on a murky brae. They suddenly stumble upon a town not on any map: Brigadoon. At the village fair “Down on MacConnachy Square” that sunny May morning, Tommy meets the lovely Fiona MacLaren, whom he befriends, while Jeff is quickly taken in hand by the beguiling Meg Brockie. A festive atmosphere pervades the town as Fiona’s sister, Jean, is preparing to marry Charlie Dalrymple. Although older than Jean, Fiona is not married but is, as she says, “Waitin’ for My Dearie.” The men at the square listen to Charlie tell of his feeling about the approaching marriage in “I’ll Go Home with Bonnie Jean.” Tommy, who has left an unhappy love affair in New York, grows increasingly fond of Fiona, and together they go off to gather “The Heather on the Hill.” As fond of Fiona as he is, Tommy is more than a little disconcerted by the town and its denizens: They don’t recognize American money, and no one seems to have heard of telephones. Later that day at the MacLaren house, Charlie arrives to sign the family Bible. Tommy is surprised to see Charlie has dated his signature “1746.” Because of the old superstition preventing the bride and groom from seeing each other before the wedding, Charlie sings to Jean through a closed door – “Come to Me, Bend to Me.” Tommy and Fiona return from their lovely day together and tell Jeff that it’s “Almost Like Being in Love.” Later Tommy presses Fiona for an explanation about the town, and she takes him and Jeff to see Mr. Lundie, the old schoolmaster. What he says to the two Americans is even stranger than anything else they might have expected. It seems the town’s minister, disturbed by the evil influence of the outside world, asked God “to make Brigadoon an’ all the people in it vanish into the Highland mist. Vanish, but not for always. It would return jus’ as it was for one day every hundred years. The people would go on leadin’ customary lives; but each day when they awakened it would be a hundred years later.” No villager is allowed to leave, Mr. Lundie adds, for that would break the spell, and Brigadoon would disappear forever, but a stranger could remain, if he fell in love. As it turns out, the marriage of Jean and Charlie triggers just such a crisis: a churlish man, Harry Beaton, in love with Jean and brokenhearted over her wedding, decides to leave the town and deliberately break the spell. To prevent him from doing so, the villagers chase after him, and Jeff trips him. Harry falls against a rock and dies. Back in the glen, Tommy tells Fiona of his love for her – “There but for You Go I” – and he makes up his mind to stay in Brigadoon. As they leave to see Mr. Lundie, Meg entertains the wedding guests with “My Mother’s Wedding Day.” Tommy tells Jeff of his decision to stay but then discovers that Jeff had accidentally killed Harry. Shaken by the accident and the role Jeff played in it, Tommy is convinced by his friend that Brigadoon is nothing more than a dream and decides to return to New York. As the day ends, Tommy leaves Fiona – “From This Day On.” In New York Tommy realizes that he loves Fiona, and accompanied by Jeff he returns to the site where Brigadoon once stood. As they wonder if there is a way to break the spell and make the town reappear, the mist begins to clear, revealing once again the bridge that leads to the center of town. As Mr. Lundie said, “When ye love someone deeply, anythin’ is possible.” Tommy, leaving Jeff behind in the 20th century, is reunited with Fiona for eternity in Brigadoon.